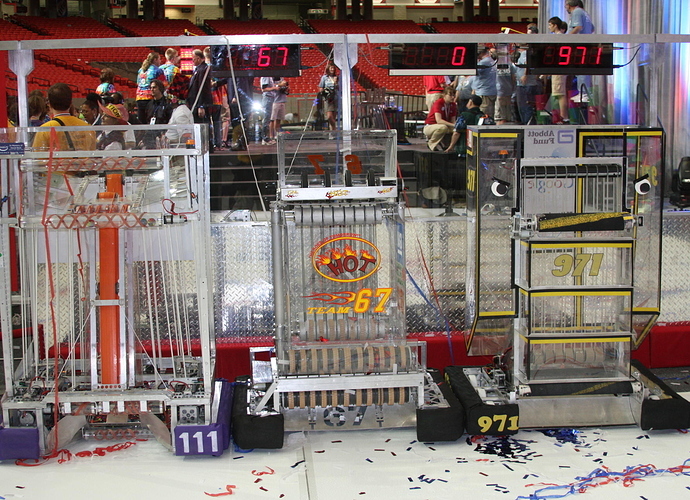 More pictures of 971 and some of the rest of the alliance available here..
An interesting observation about this year’s Einstein field: as far as I am aware, 177 was the only narrow robot - all the other bots were widebots. I’m glad FIRST finally designed a game that suits our wide, crab drive. Who said that veterans had to completely redesign their drives this year? 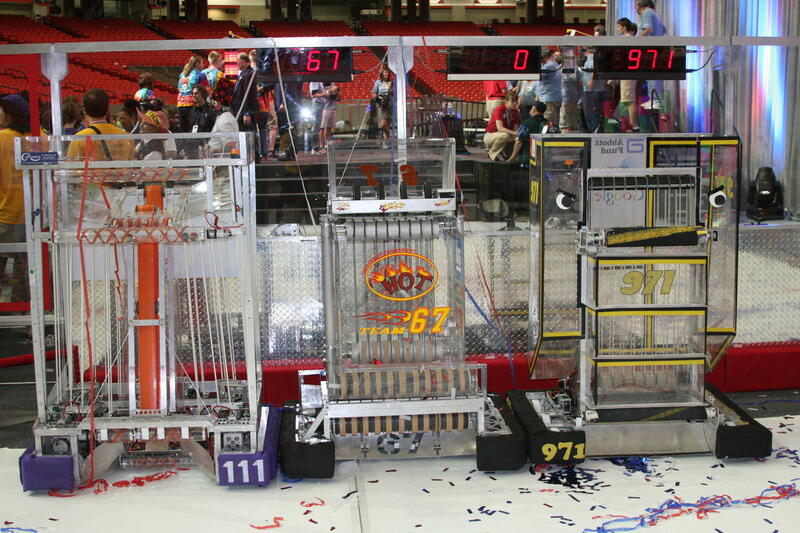 JVN, you can now add 1 to your count of crab robots that won on Einstein.